“War means fightin’, and fightin’ means killin’,” Confederate cavalry commander Nathan Bedford Forrest once said. While that might seem like a statement of the obvious in the context of the American Civil War, the topic of death and the war has largely gone unexplored. 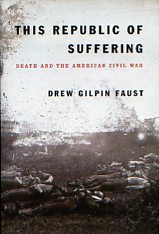 This Republic of Suffering: Death and the American Civil War by Drew Gilpin Faust is the first in-depth examination of the nation’s most intimate experience with death. And although the subject is grim, the book is fascinating—not only for what it tells us about mid-nineteenth century America but also because of the light it sheds on us today. The American Civil War claimed the lives of approximately 620,000 through combat and disease. 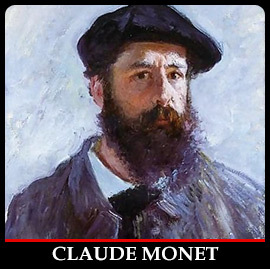 Faust offers plenty of context for those statistics: The estimated number of soldiers that died exceeds the combined death tolls of the Revolution, War of 1812, the Mexican War, the Spanish-American War, Word War I, World War II, and the Korean War; Confederate men died at a rate three times that of their Northern counterparts; one in five southern men of military age did not survive the war. “But these military statistics tell only part of the story,” Faust writes. Behind the numbers lay religious, moral, logistical, medical, political—indeed, cultural—implications that have echoed across the century and a half since. But the war also had a profound affect on America because the loss of human life that took place between 1861 and 1865 shaped and unified America in a way no other experience could. “In face of the profound upheaval and chaos that civil war brought to their society and to their own individual lives, Americans North and South held tenaciously to deeply rooted beliefs that would enable them to make sense out of a slaughter that was almost unbearable,” Faust says. But death was not just a military matter. Faust points out that civilians were caught in the crossfire of battle and sometimes targeted by guerillas. Draft riots ripped through cities. Food shortages in the South led to starvation. Epidemics swept through army camps and towns, ravaging men from rural backgrounds who’d never before been exposed to common childhood diseases. Her book delves deeply into the sociological and psychological impacts of death and dying, but also killing, identifying and burying the dead, and mourning. It’s no wonder Faust’s book was a finalist for this year’s National Book Award in nonfiction. Faust’s scholarship is excellent—a reader would expect no less from the woman who serves as the president of Harvard University—and the story she tells is both profound and sublime. Nathan Bedford Forrest made it all sound so simple; This Republic of Suffering proves otherwise, and our national identity is better illuminated because of it. This book sounds earth-shaking. Thanks, Chris. Hadn’t heard of it.